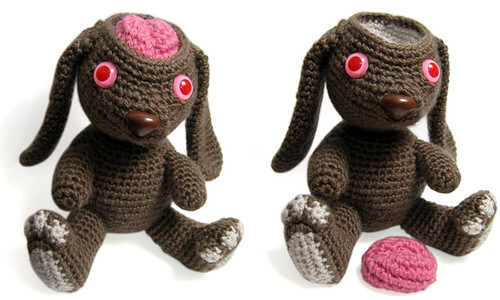 a poor bunny who was saved from a scence lab, his brain some times pops right out of his head. made from NZ wool, brain is wool/alpaca blend. hello, bunny has been spotted by boing boing! via craftzine.